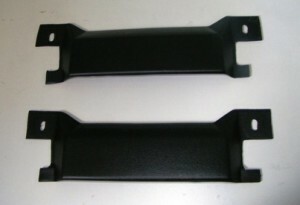 This is a pair (2 needed per car) of the seat track trim covers for use on early second generation Camaro and Trans Am. 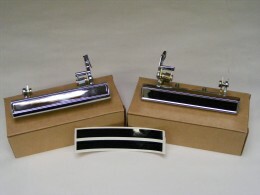 For use on 1970 1971 1972 1973 1974 1975 1976 1977 Camaro Firebrid Trans Am models. These are now available new replacement! 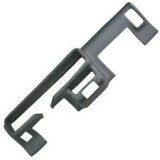 Excellent quality reproduction units produced from ABS plastic and ready to install! 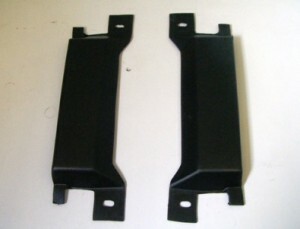 This is a pair (2 needed per car of the seat track trim covers for use on early second generation Camaro and Trans Am. Now available new replacement! Excellent quality reproduction units produced from ABS plastic and ready to install! 1970 - 1981 Camaro Trans Am Custom Cut Dynamat Xtreme for your specific project!